Equipping moms with the wisdom & tools necessary to be ON POINT both in their personal life and family life, and together aim to raise up the next generation of arrows! MomLife is open to all moms, and mom’s to be. We are all moms, and we believe that better moms make a better world. MomLife exists for you. Being a mom is beautiful and hard and we get that sometimes you just need a safe space to breathe. A place to get some encouragement that what you are doing matters. 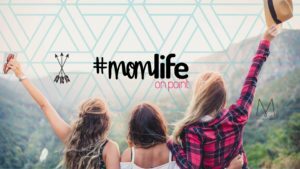 MomLife membership provides resources and some fun goodies that remind you that you are important and we are all in this together.